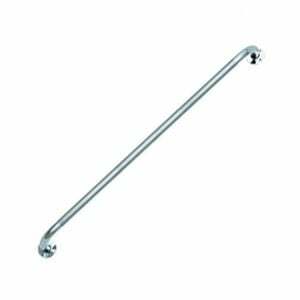 Probasics 24" Chrome Knurled Grab Bar has a durable 1” heavy-gauge steel with 2.5" diameter frames. Diamond Knurled finish provides secure hand gripping surface. Mounts vertically or horizontally, 1.5” distance from the wall.